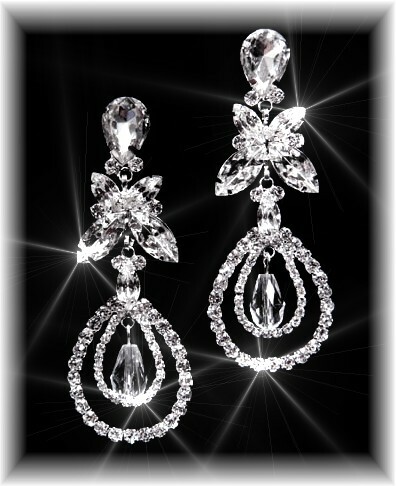 Don't hesitate to wear these shimmering rhinestone earrings whenever you want to dress up. Measuring just short of 8cm/3" they're absolute showstoppers. Ideal with virtually anything - and everything - from wedding outfits to LBDs, or a tux. Yet perfect for jazzing up jeans for dinner dates and nights out. Created using the familiar shapes of teardrops and a butterfly, these sizzling earrings are made in premier quality rhinestones in a Sterling Silver plated setting and are the ultimate in glamour and pizzazz. Size: 8cm (3") Sterling Silver plating. Top quality rhinestones.